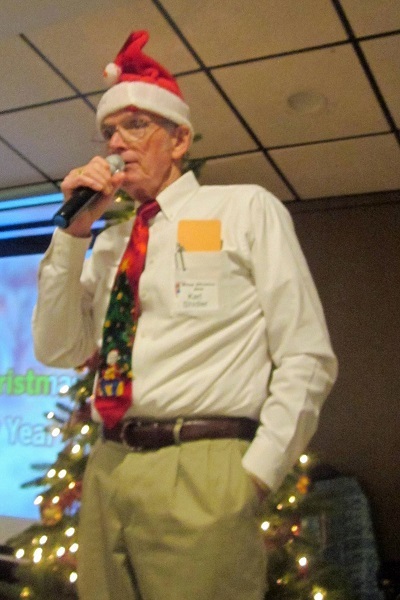 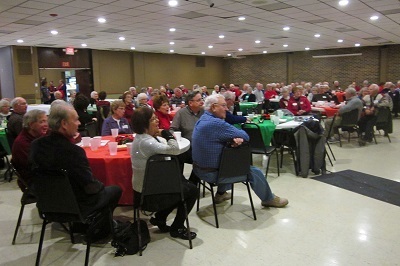 The 2016 IBM Alumni Club Christmas party was held on Thursday, December 8th at The Eagles Club in Rochester. 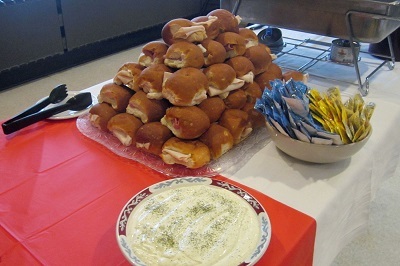 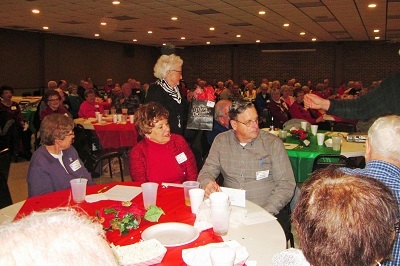 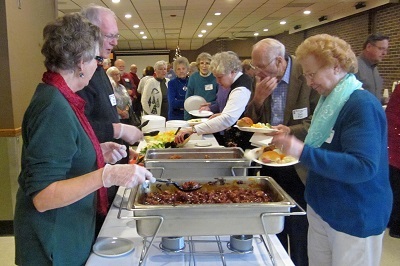 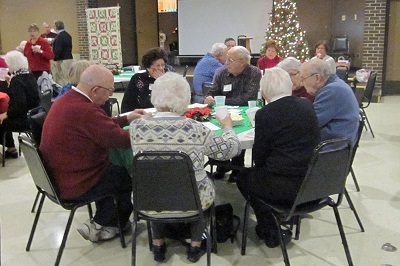 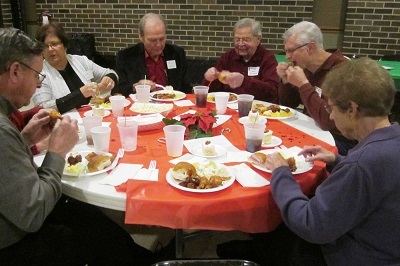 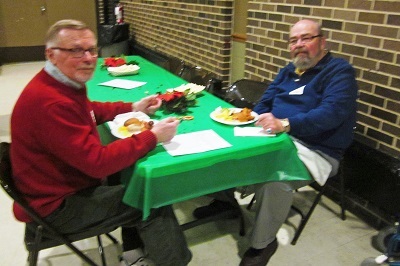 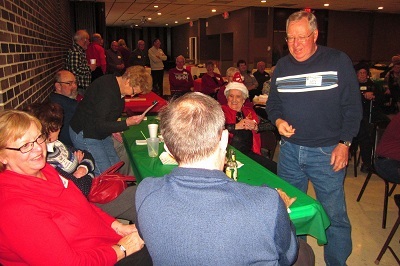 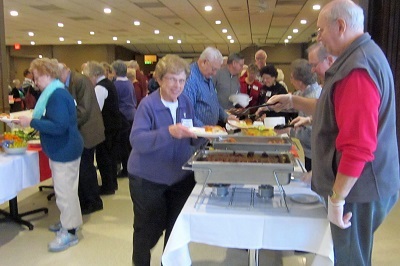 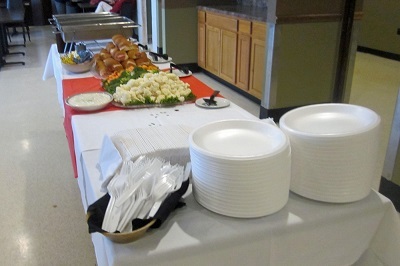 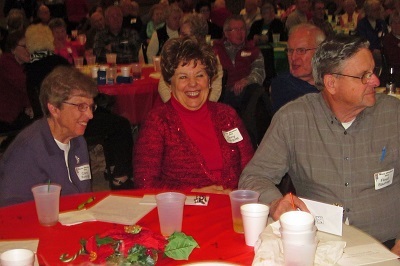 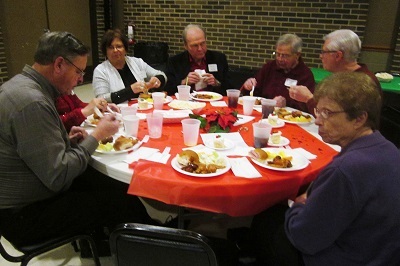 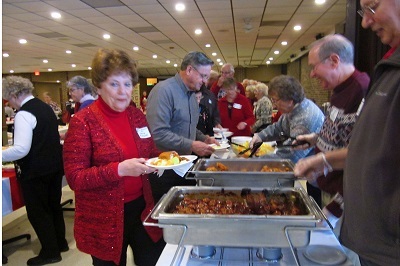 About 155 Alumni members, spouses and guests enjoyed great food and conversation. 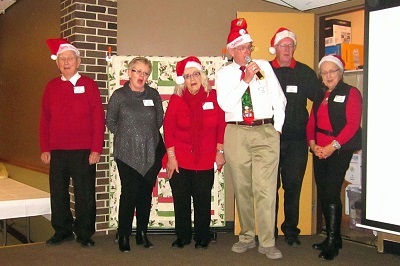 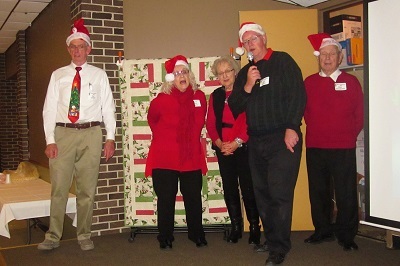 with help from a Karaoke Christmas Carole “Sing-a-Long” led by Board Members. 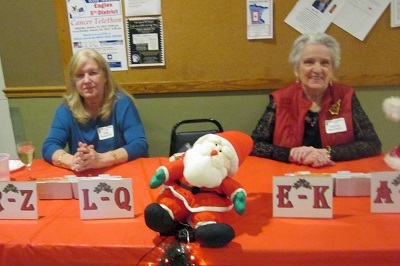 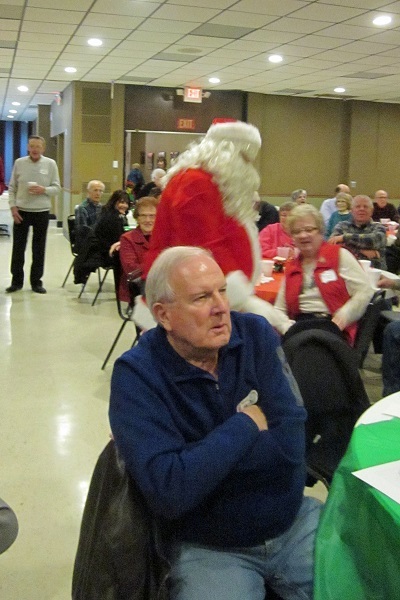 As in prior years the Eagles club, represented by Jessica Sorensen, did a great job in setting up the room and organizing the food and beverages. 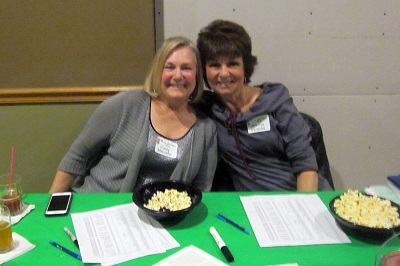 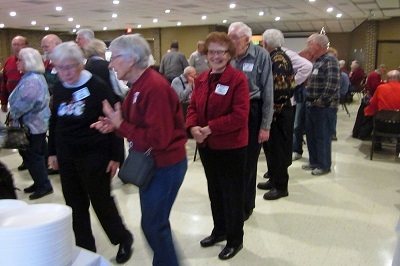 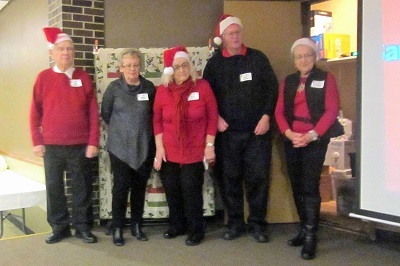 A BIG THANKS goes out to the great group of Alumni Club volunteers who helped with the event including: Seig Hoeppner, Nancy Morrison, Jeannie Varsoke, Cindy Macrafic, Betty Shidler, Bob Mesarchik, Jim & Alice Miesbauer, Bev Gerzevske, Horst Truestedt, Rita Kiefer, Darlyne Burchfiel, Barb Nord, Judy & Larry Plank. 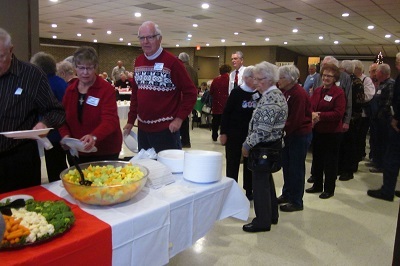 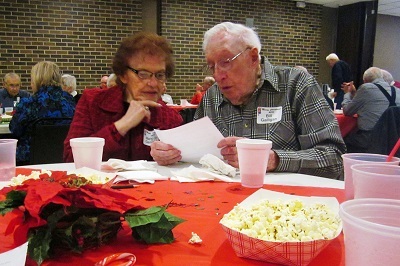 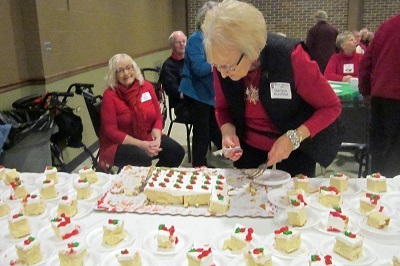 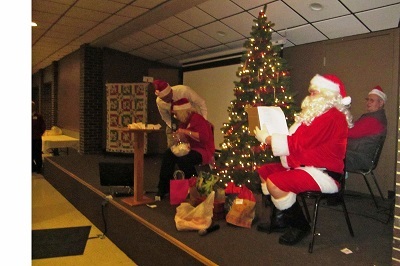 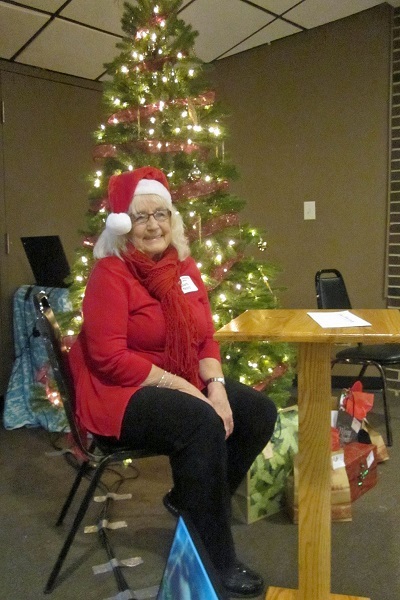 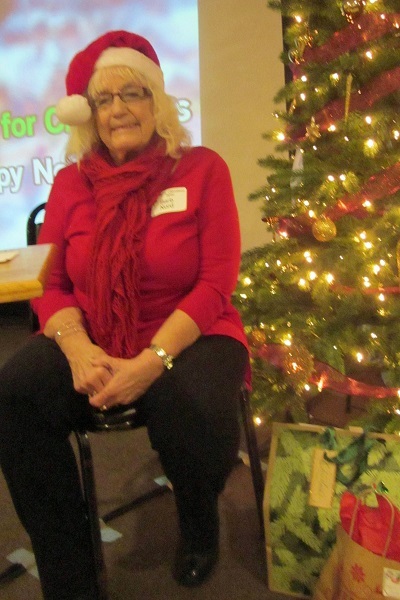 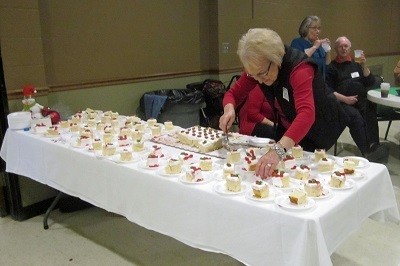 Daune Haugen and Joan Buske involved with a multitude of chores including: Serving food, manning the welcome table, decorating, obtaining door prizes, entertainment, etc, etc. 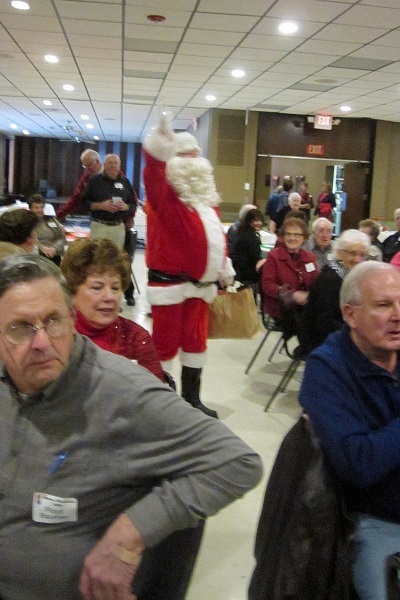 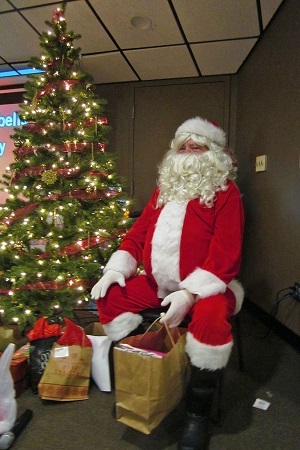 We want to recognize the donors of our Door Prizes including: Rochester Ford, Victorias Restaurant, Carousel Floral, Grandma’s Kitchen, Eagles Club, Rochester Athletic Club, Hair Studio 52, Think Bank, Canadian Honker Baseball, Canadian Honker Restaurant, Culvers, Rochester Indoor Golf, Terrarium Treasures, Rochester Civic Theatre, Senior Center (125 Live), LTS Brewery, Hillcrest Barbers, Viking Buick-GMC, Perkins South Restaurant and Adamson Motors Tire Shop. 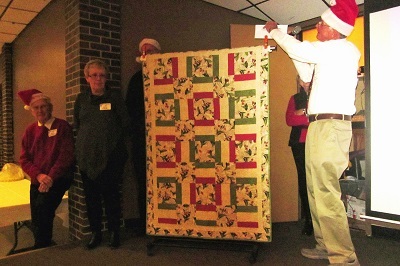 Also, a special thanks to Sue Norell for making and donating the beautiful lap quilt, our Grand Door Prize! 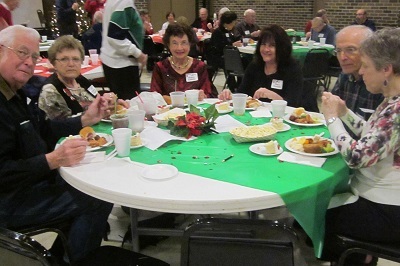 The 2017 Christmas Party will be held the week of December 4th thru 8th. 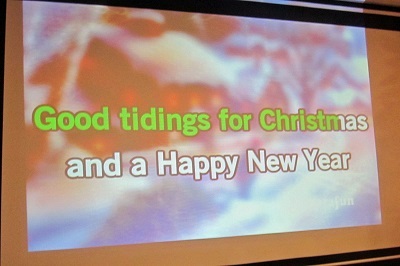 Watch for further announcements.